I have always wanted to experience travelling alone at least once. I never thought I would do it sooner and almost unplanned. When I was presented with the opportunity to go to Cebu with a very cheap airfare, there was no time to hesitate and so, I just took the plunge. It would be my first time to go to Cebu. I originally wanted to visit the southern part of the province. However, being a broke, unemployed girl in the middle of her summer break, going to Bantayan Island proved to be a lot cheaper than swimming with the whale sharks in Oslob and canyoneering at Kawasan Falls. Go to a local “disco” (party) held in a basketball court with other Filipino and foreign tourists. We were accompanied by the locals in the island. Thank you so much for the hospitality! From Mactan International Airport, I rode a taxi to the North Bus Terminal (Php 200). I rode a Ceres bus going to Hagnaya port (fare: Php 200, duration: about 4 hours). I stayed at Randy’s Grill and Chill Resort for only 300 pesos per night. They offer air-conditioned rooms as well but I got the fan room since I knew I’d be mostly out, and that I can live without the AC anyway. I made sure to roam around the town of Santa Fe. Unfortunately, I wasn’t able to visit two other towns in the island — Bantayan and Madridejos. Maybe next time. I spent most of my time at Yooneek Beach Resort. I was frequently under the shade because I would never risk it with skin cancer. I also made sure to apply and re-apply sunblock when necessary to protect my skin from bad UV rays! Sunsets are always beautiful, especially when viewed from the shore. The thing about travelling solo is that it’s fun when you have a lot of things to do, like walk on the beach, photograph the sea and the sunset, appreciate the houses and other infrastructures, eat delicious (sometimes not so delicious) food, drink ice-cold drinks, sip coffee at your own pace, or bike around town. When you’re done with all of that, you will stare at the ocean with a book on one hand and a mango shake on the other, inhale deeply, take it all in, and then feel solitary again. After being happily alone, there’s just nothing better than a good conversation with another human being. Here are other selfies which made the cut. LOL. On my second (and last) night at the island, I decided to eat at Bavarian Beergarden. One of the waitresses asked me if I was alone, and a conversation started. The next thing I knew, the ladies were already teaching me Bisayan words. I also learned about their personal stories and the island life. Thank you for all the laughter and the company! I was the first guest that night. Buena mano. Try the sausages! The serving of pork chops and fries on a platter was huge, waaaay too much for a solo traveller. I got to invade the kitchen, but only for a photo. I am holding a tall glass of Franziskaner. Inside Ato Ni Bai where I drank nothing but coffee. It’s unacceptable to get drunk when you’re on your own. The girls knew by heart every line to the songs they selected in the karaoke machine. All my friends know how much I love karaoke! After our concert (haha), I went with them and a few other tourists to the town of Bantayan. There was a fiesta in Barangay Mojon hence a disco in the basketball court was expected. The songs playing were a mix of oldies and the new ones. I really liked dancing cha-cha. The night sky was perfect, I wish I had a good camera to capture it. 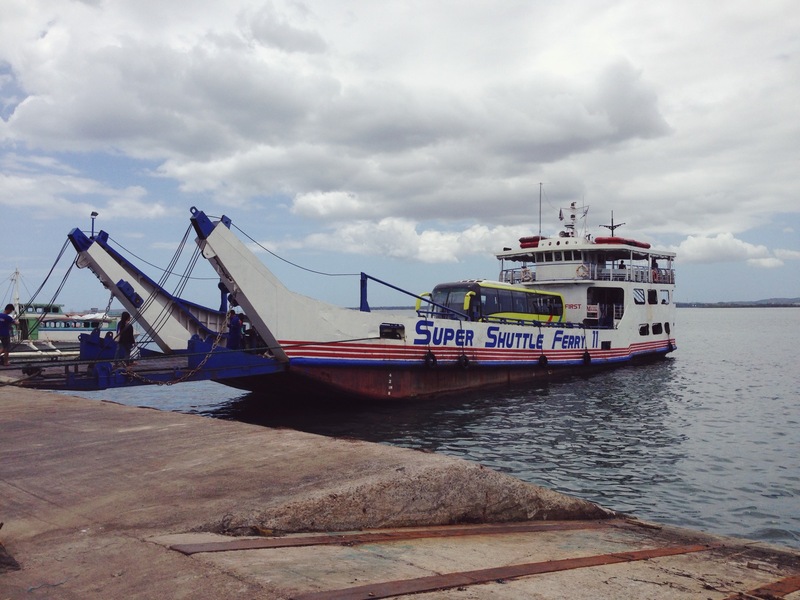 The next morning, I rode the ferry to Hagnayan port, and a Ceres bus to Cebu City. I went to SM City Cebu to eat lechon at Zubuchon. Though it was a bit too salty, I loved it. My original plan was to visit Magellan’s Cross and the neighboring tourist attractions but it started to rain outside the mall. I knew I would return to Cebu, and I was my own boss, so I ended up watching Civil War instead. I did not regret my decision. I went to Mactan International Airport afterwards and found out that my flight would be delayed. It was no big deal, I had a book to read and the internet anyway. I’ve never traveled solo but it definitely looks like fun! Great post! Your blog makes me feel excited about my travel to the North of Cebu. May I know where you rented your bicycle? And how much! Thanks heaps!